We are lucky enough to be one of the few dealers in the U.S. to carry Pinarello, and we have just gotten the 2019 Dogma F10 Etap. This work of art is on our floor and ready to be your dream bike. We are an official Pinarello dealer and the only place in Austin you'll find these one of a kind bikes. Currently, we have a full size run of Etap F10s ready for test rides. Dogma F10 inherits much from the BOLIDE, currently the fastest bike in the world, with the current Hour Record holder with Sir Bradley Wiggins, time trial World Champion with Kiryenka and winner of Tour de France champion Chris Froome. It retains the super-efficient Flatback™ profiles from the Dogma F8, but adapts a new design of the down tube from the BOLIDE TT which shields the water bottles from the wind, while further increasing the lateral stiffness. Come in and give one of these works of art a spin. Asymmetrical 916 Black Lava Frameset: provides aggressive long-distance performance with 20% better aerodynamic performance than the Dogma F8. This is partly achieved with a Flatback shaping on the downtube that shields bottles and other addons, thus reducing drag and ensuring more power for moving forward. TwinForce Seatclamp: eliminates the use of classic collars, and its integration to the frame adds points to the Dogma F10’s aerodynamics. E-Link equipped Think2 System: makes the Dogma F10 efficient in adapting to either electronic or mechanical groupsets. Two-position 3XAir: allows you to position your bottle cage properly for superior aerodynamics. It features the stiff downtube design, which helps a lot in the aerodynamics, especially around the bottle cage. The Onda F10 Forks with ForkFlap decreases wind drag by as much as 10%. Its Think2 System greatly improves the electronic and mechanical adaptability of the Dogma F10. These features make the Pinarello F10 a bike you should consider buying. Feel free to visit our shop, and ask our staff about the Dogma F10. The Dogma F10 Disk being undoubtedly a superb bike but it’s not perfect. It is not the lightest bike available, and it's also not the friendliest bike when talking about repairs or maintenance. Servicing can get complicated. This makes it important to have an accredited Pinarello dealer (like Mellow Johnny's) near you, for professional and reliable servicing assistance when necessary. Trek Emonda SL6 DISC: one of the best Pinarello alternatives if you want to have a lightweight bike. It also has a carbon frameset, with 12mm axle for additional stiffness. BMC Teammachine Disc: another champion in various global races, this is considered as one of the best in terms of performance, what with a good mix of compliance, efficiency, and light weight. TREK Madone SLR 6 DISC: one of the top race bikes we have here in Mellow Johnny’s. 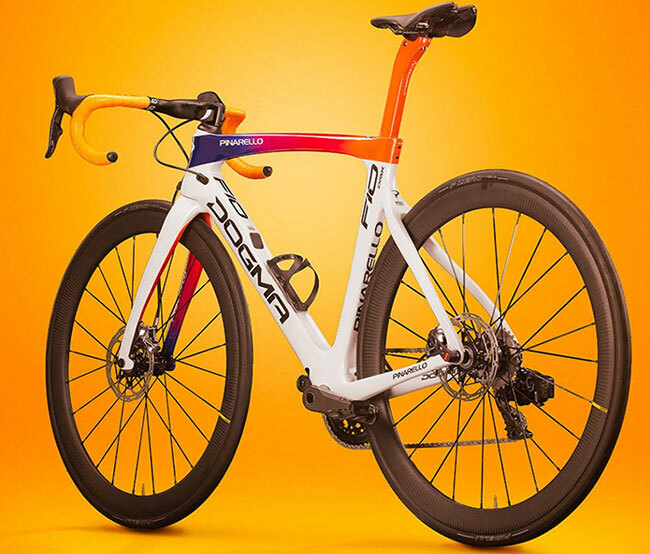 This spectacular bike is something to consider as an alternative for the Pinarello F10, in terms of features, performance, competitiveness, and overall aspects. These are just a few of the best Dogma F10 alternatives we have at Mellow Johnny’s. Feel free to connect with us, so we can help you find one that’s perfect for you. 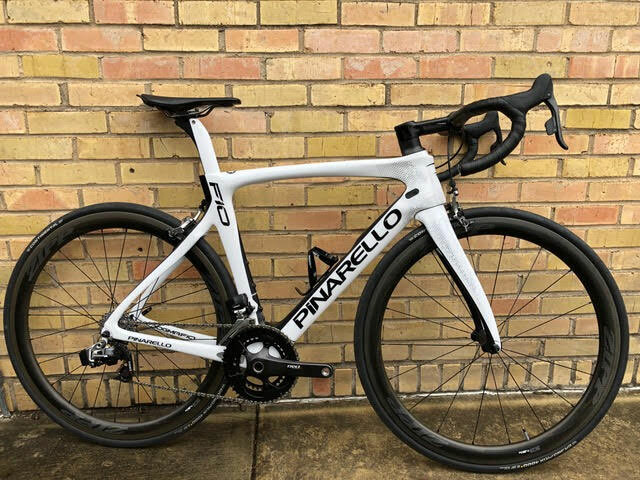 The Pinarello Dogma F10 has worked superbly for the Team Sky riders as they rolled over the finish lines of various pro cycling races, and can serve you just as well along Austin’s most popular cycling routes. At Mellow Johnny’s, we can provide you with the best bikes in the world, plus world-class after-care to ensure that your bike offers the fastest and most competitive performance possible. 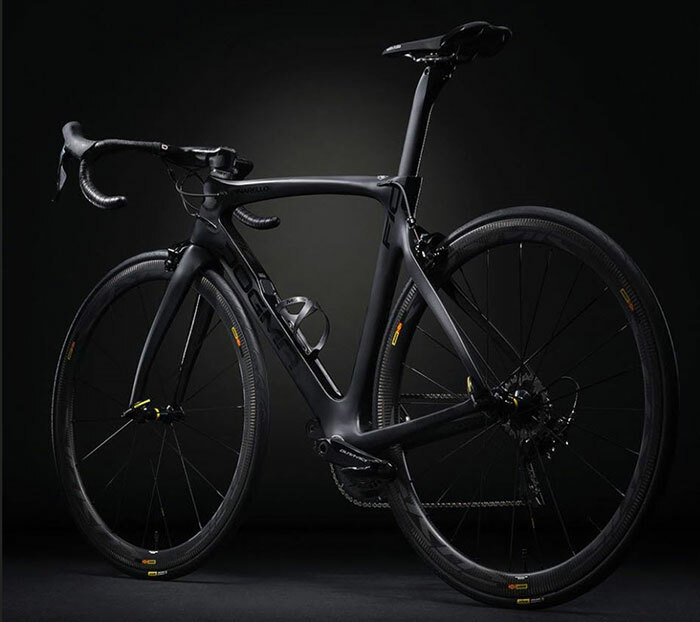 Buy the Pinarello F10 from Mellow Johnny’s today.